PURCHASE THIS TWO BAT SET AND RECEIVE THE BAT RACK FOR HALF THE STATED PRICE FOR A SAVINGS OF $30! 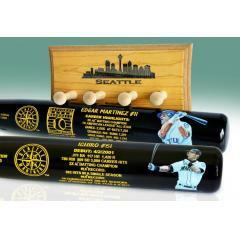 We are proud to honor two Mariners all-time greats with this special two bat set! 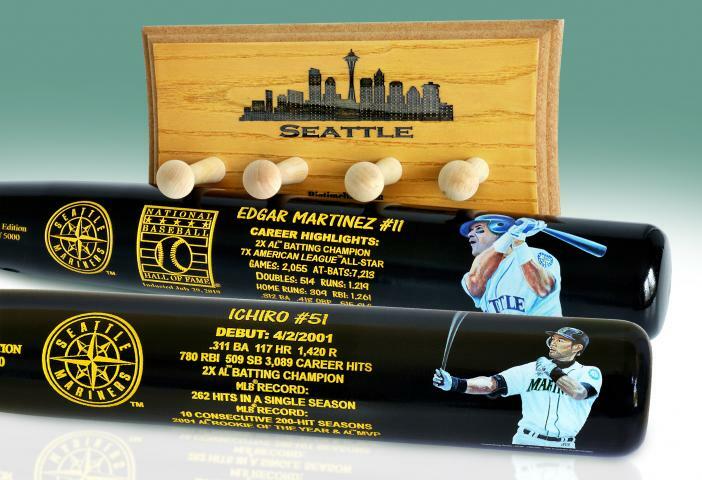 This set includes one (1) Edgar Martinez Hall of Fame Commemorative Bat, one (1) Ichiro Retirement Commemorative Art Bat, and one (1) Seattle Skyline Two Bat Rack. 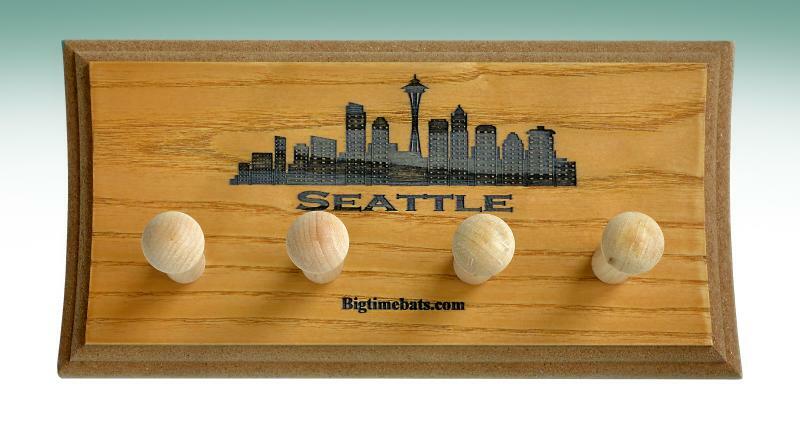 These hand-crafted bats are made in America, and look great displayed on any wall in your home or office. Order today before they are gone! Due to the limited nature of this offer we must charge your credit card for the full price immediately upon taking your order. This policy ensures we reserve a bat for you. We will confirm your order by email. This bat is not game used. This bat is officially licensed by MLB and MLBPA. Please allow 4 to 6 weeks for delivery.